A great choice for lightweight day walks in warm weather where cushioning is not required. These socks are probably the opposite of what you think of when looking at typical hiking socks. They breathe well due to the minimal cushioning on the soles and lightweight mesh on the top of the feet. This creates a sock that will keep your feet relatively dry in hot weather which will limit potential blistering. These advantages are also this socks disadvantages. As they provide minimal cushioning they aren’t really suited to carrying heavy loads, the low cut version (they also come in a longer quarter length) is very low cut which means that when used for a high cut/midcut boot the boot will rub on the ankle. This can also be an issue with many higher cut trail shoes. 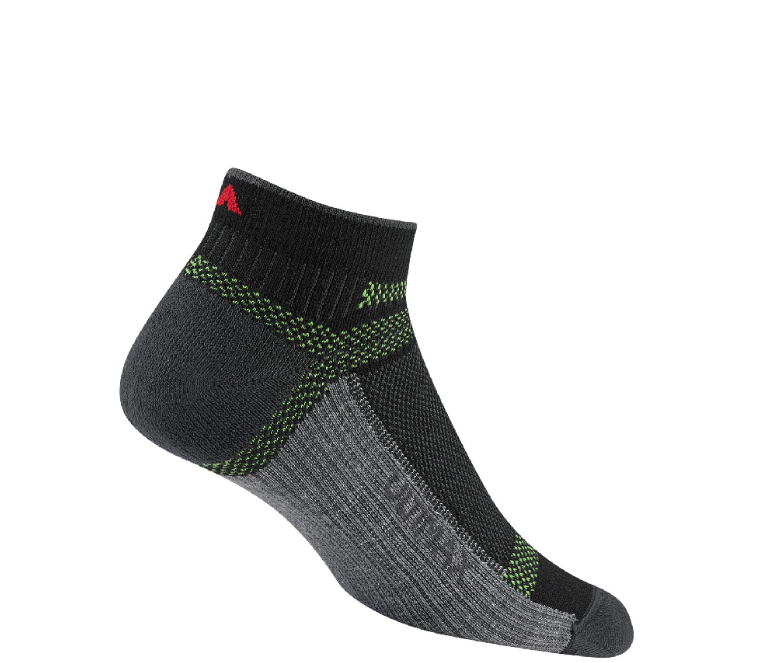 If you are looking for a warmer sock that provides additional padding then consider either the Wigwam Cool lite Hiker Pro socks or if you really feel the cold (or its winter time) then look at the Wigwam Trail Trax Pro Sock. These socks are synthetic and have a seamless toe which means they are very comfortable. i find that they tend to last me about 200-300km but as I only wear them in hot conditions this often means a couple of years lifespan. A 2.5 season synthetic sock that allows your feet to breathe in hot conditions minimising blister formation. Not suitable for cold conditions. You can purchase the Wigwam Ultra Cool Low Cut Sock from Wild Earth or Wildfire Sports.